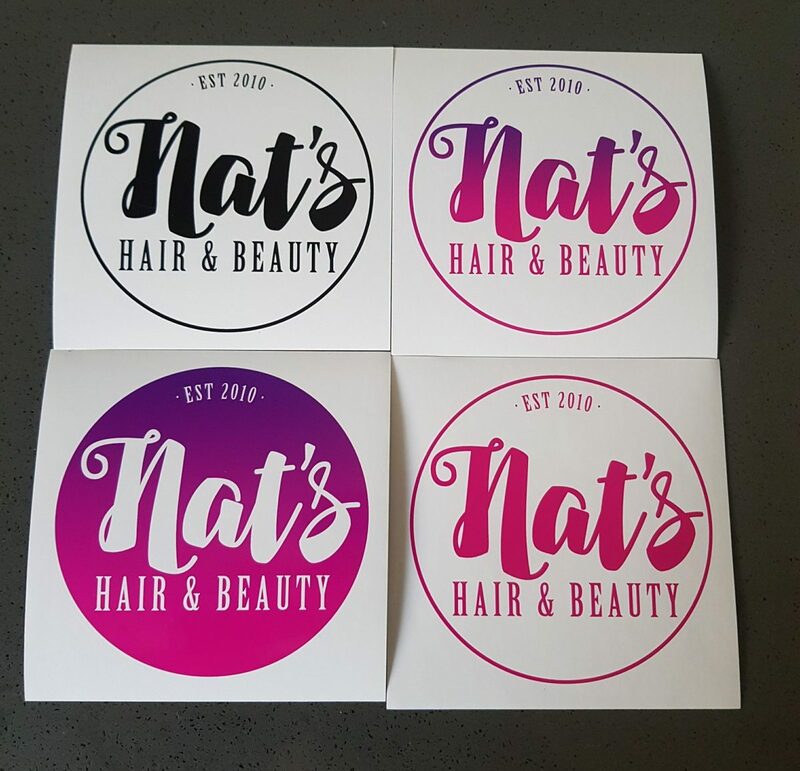 Our good mate & owner of Sinister Tyres & Whitewalls wanted to surprise his fiance with a logo for her business (Nat’s hair & beauty) – We had to be involved! After discussing the sort of things she liked, colours etc we went away & fondled with several idea before ending up with what you see – We also, JUST before finalising the design illustrator CRASHED & we lost the lot. Only good thing about this is that we were able to fix the little things weren’t 100% about the original design! 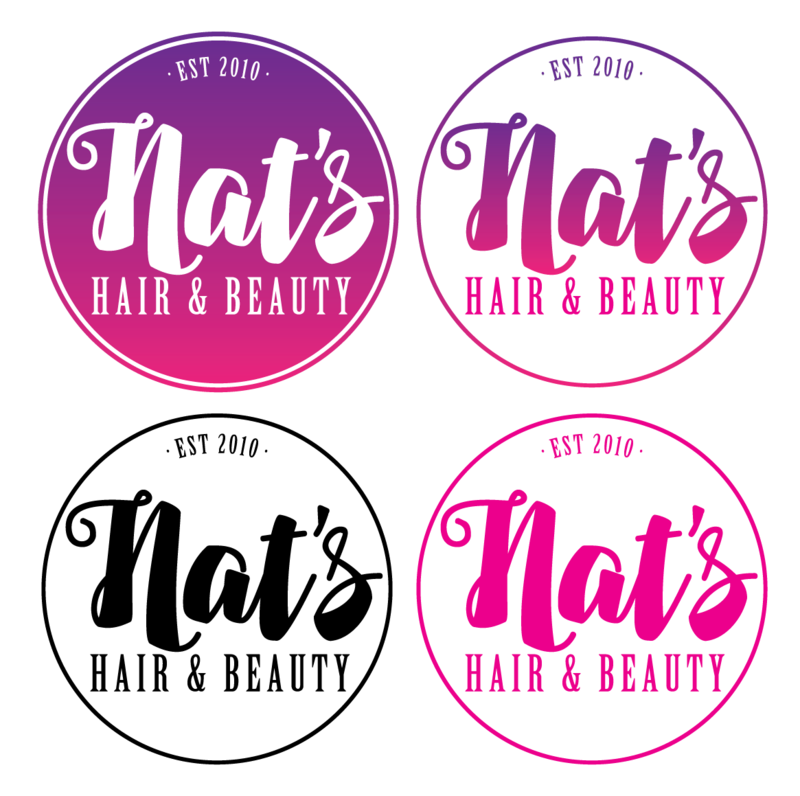 Nat supposedly loves her new logo! We made 4 different options depending on the media that would be used to present the logo – Flat black & white for vinyl cut stickers, Purple to pink gradient for vinyl print etc etc. I feel it gives the customers more options then they’ll ever need which I know I appreciate as a customer. 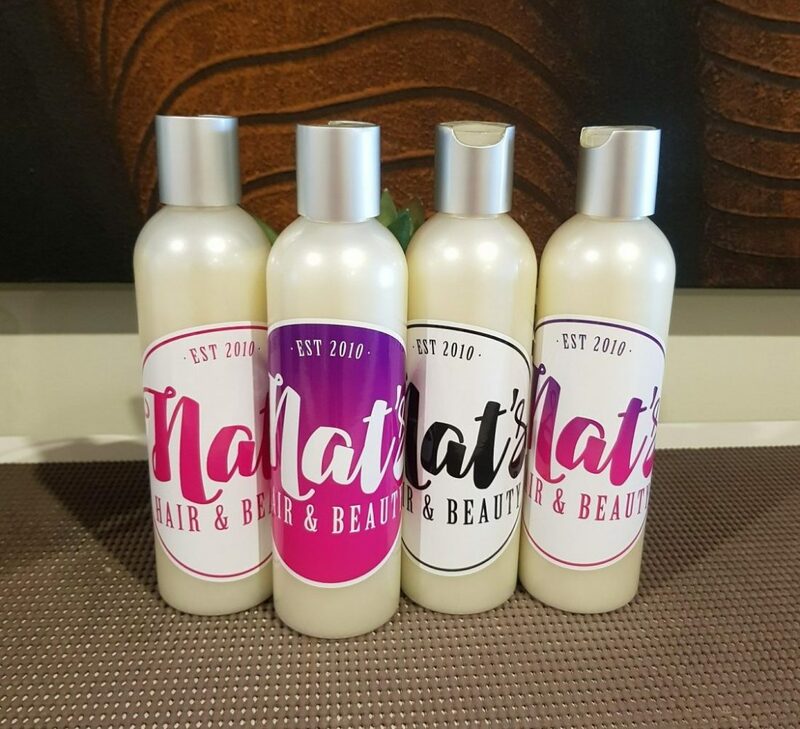 Design was completed on a Monday night & by Friday the same week they had vinyl print stickers made & mocked for the bottles of product they currently supply customers – We’re very proud of how it’s come out! Need your branding revamped? Contact us.